This Proline Steyr AUG A3 XS COMMANDO is a specialized CQB version of the famed Austrian firearm with many refinements and enhancements compared to our Sportline guns. Most noticeable is the extremely short length and the many rail mounted on different parts of the Airsoft gun. A total of 7 rails are present of which 5 is removable allowing the operator to only mount the rails needed saving on weight and keeps the gun looking stylish. Internally is a version 3 gearbox with 7mm bearings and high quality gears and piston. The gearbox has a quick change spring feature that allows for a fast change in muzzle velocity should the circumstances demand it. The gun shoots 120 m/s (395 fps) out of the box and can be upgraded with ULTIMATE parts if desired. 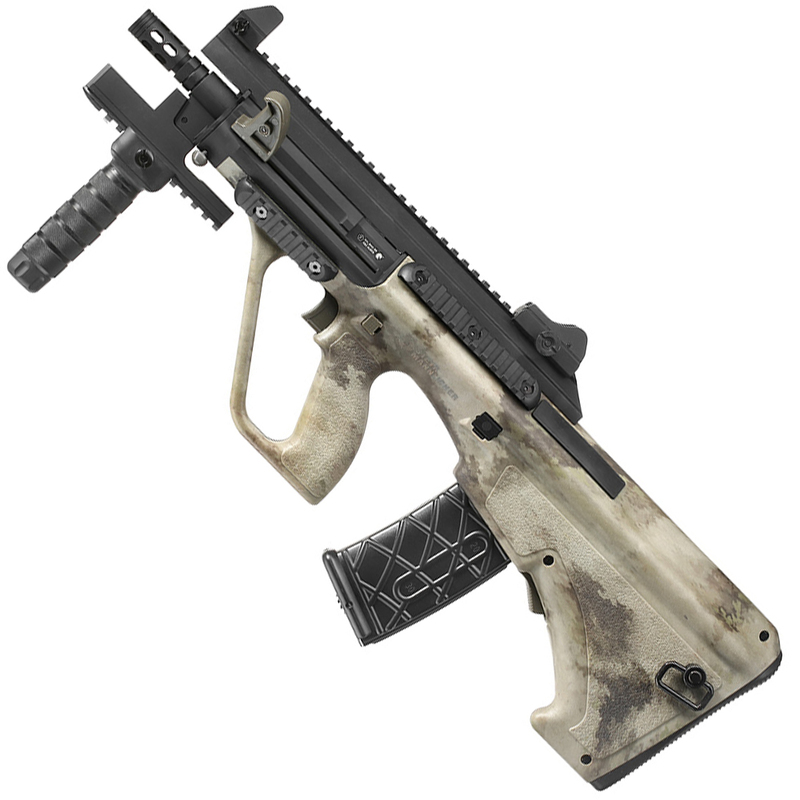 The AUG A3 XS COMMANDO is a compact Airsoft weapon with a barrel length similar to a M4 carbine giving good accuracy in a CQB sized gun, making this Steyr AUG the ideal CQB Airsoft gun.